Posted on November 30, 2014 by Holly K.
Did you know there’s a way to make an even tastier cup of tea than you get from your teapot? 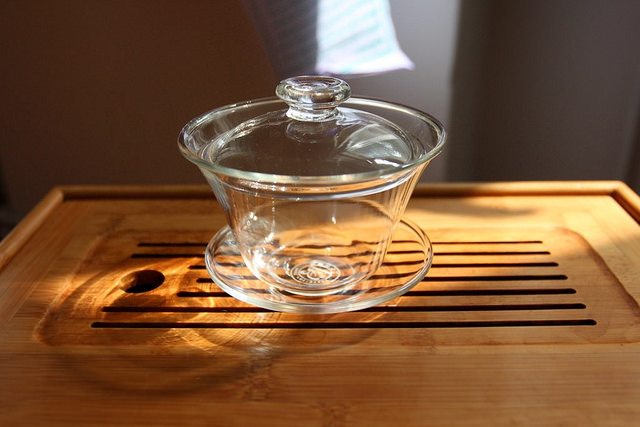 Bring out the most in your tea with the graceful, elegant, yet easy-to-use gaiwan! Posted on November 23, 2014 by Holly K.
“Tea, Earl Grey, hot!” Even if your only experience with tea is hearing Captain Picard ordering his favorite beverage from the Enterprise’s food replicator, you’ve probably heard of Earl Grey. Brisk and delicate at the same time, ever-popular Earl Grey tea is perfect for everything from your morning caffeine kick to your Downton Abbey-themed tea party. But there’s more to the Earl than you might think! 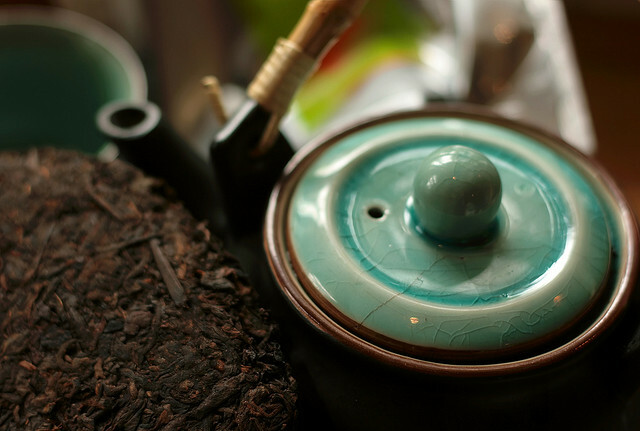 Posted on November 9, 2014 by Holly K.
From bai haos to tieguanyins, oolongs are what some call “the champagne of teas” – complex, subtle, and very flavorful. But you don’t need to be a tea expert to love them! Here’s your primer to the incredible oolong. Posted on November 6, 2014 by Holly K.
You love drinking loose-leaf tea. Loose-leaf teas have the fullest flavors, richest aromas, and most antioxidants of any kind of tea. You’d love to make yourself a cup… but you don’t know what you’re doing. Right this way! In this how-to guide, I’ll outline all the equipment you need, provide a step-to-step guide, and point you to some places to get all of your tea fixings! Posted on November 2, 2014 by Holly K.
Before you get started making tea, you gotta have tea. But where to begin? What’s a good “starter” tea? Where can you even get loose-leaf tea here in ‘Murica, not just the tea bags at the grocery store? In this post, I’ll give you a primer on some different teas, then I’ll point you along to some beginner-friendly tea stores so you can get teas without buying five pounds at a time. 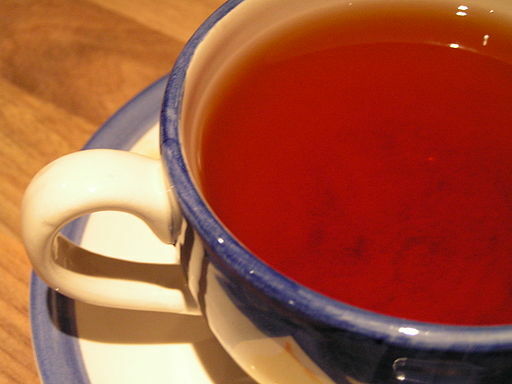 Posted on October 30, 2014 by Holly K.
So you’ve decided to try this loose-leaf tea thing. Join the club! For the past several years, an increasing number of people have decided to try this loose-leaf tea thing. Thanks largely to the Internet, the tea community is continually growing as purchasing, sharing, and discussing tea from all reaches of the world is easier than ever. Fear not! That’s what Steep Inclined is all about! While many of the Internet’s tea blogs are mostly tea reviews written by connoisseurs, Steep Inclined is for the beginning tea drinker who wishes to explore the vast world of Camellia sinensis (that’s the scientific name for the tea plant.) This blog will cover everything from starter teas, steeping tips, and basic tea science to introducing the vast world of flavors and tea cultures from around the world. This is not My Personal Tea Blog, nor is it about the exquisite beauty of the rarest and highest-end teas, although the teas featured on here will represent a range of price points. Instead, Steep Inclined is all about exploring. Who’s writing this blog, after all? My name’s Holly, and I have been a tea person since the spring of 2013. I owe the start of my hobby to a combination of elements: a visit to two tea enthusiast friends; a cup of jasmine tea; a switch flipping somewhere in my psyche; my not drinking alcohol; and my deeply wanting, if not needing, a connoisseur hobby. Tea is my happy place. It picks me up, it calms me down, it sharpens my focus, it loosens my grip. It is my daily cup of positivity. What I didn’t realize until I started drinking tea is that it, like any art form, is a universe unto itself. While tea originated in China, it manifests in different forms all over the world. Tea cultures as diverse as Earth itself, and the range of flavors even more so. 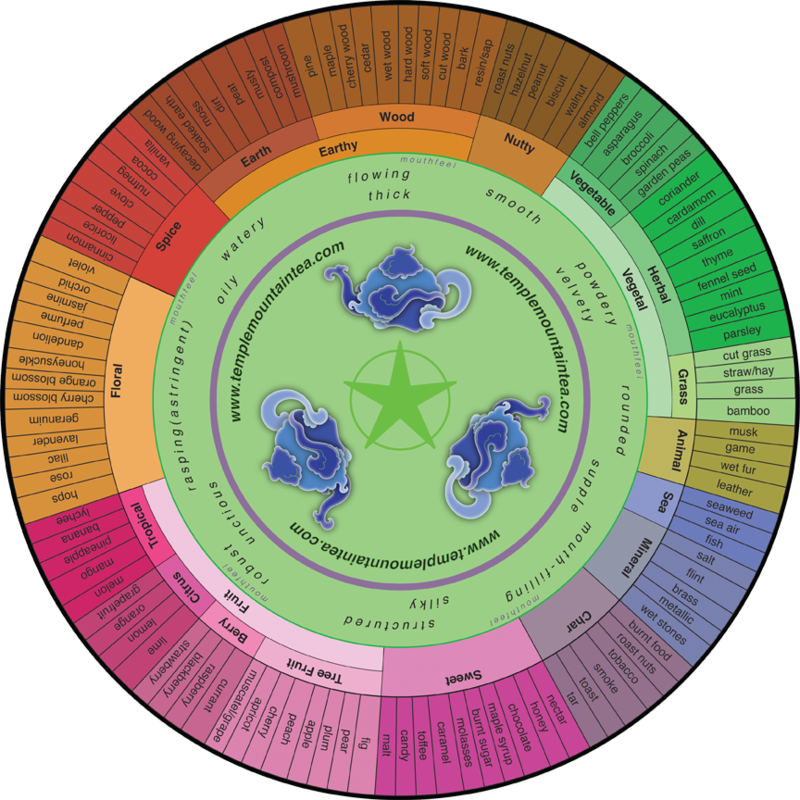 Look at this flavor wheel! I would never have imagined I’d be drinking tea that tasted like smoke, decaying wood, or wet rocks – let alone loving it! I’ve learned a lot during my year and a half of tea drinking. I have my list of favorites (most Chinese black teas), least favorites (“roasty” oolongs), joyous successes (the first time I finally made an unripened pu-erh the way I was supposed to), and tragic failures (oversteeping Japanese green tea.) But I’m still learning! I find as much joy in trying new things as I do in sharing my experiences and advice with others. So while I write Steep Inclined to help tea beginners on their journey, I also do so to broaden my own horizons. Enough blabbing. Stay tuned so that we can start steeping!